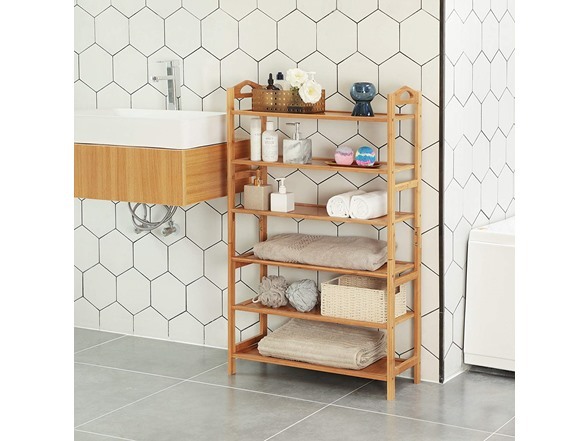 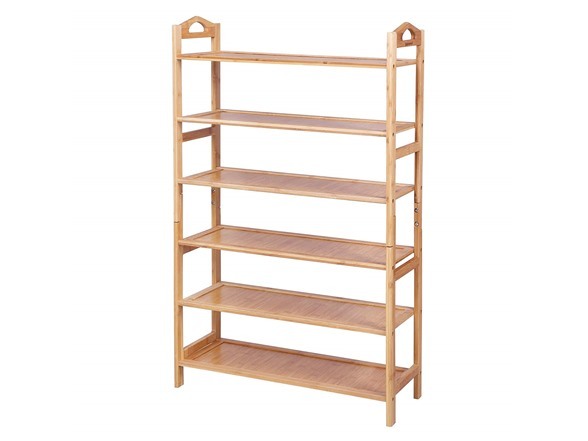 With fine grain and inherently sleek beauty, this bamboo-frame shoe rack brings a natural flair to your home. 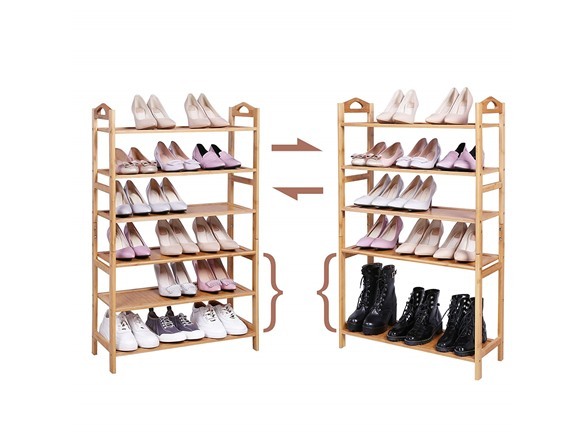 The cutout handles facilitate easy moving while adding a unique touch. 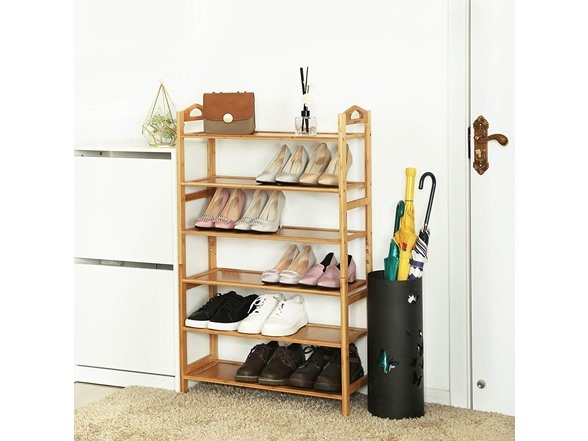 You’ll want to show it off rather than hide it in your closet, even though it will fit perfectly there too! 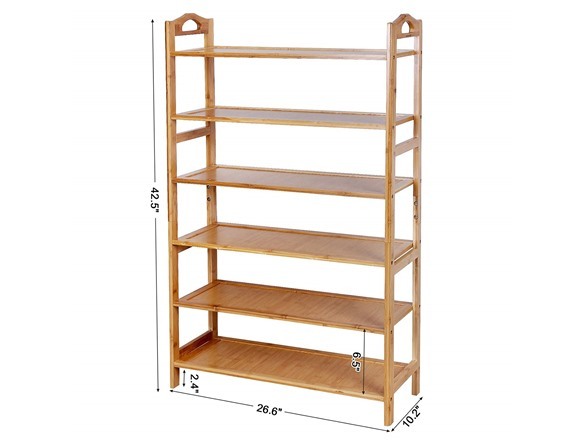 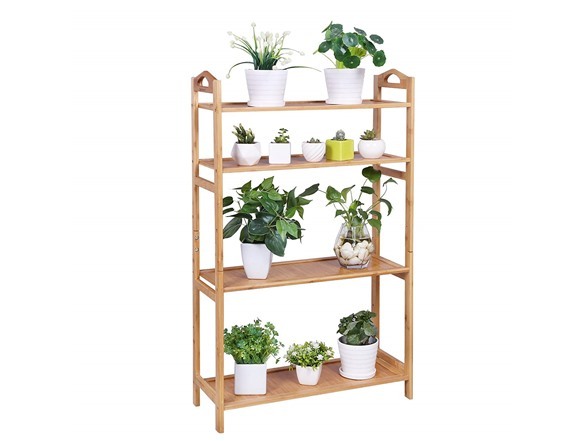 Natural bamboo frame, MDF boards, environment friendly and sturdy; 6 tiers rack & storage shelf for shoes, bags, plants, toiletries, baskets, books, DVD-CD in entryway, bedroom, bathroom, balcony, closet, etc.